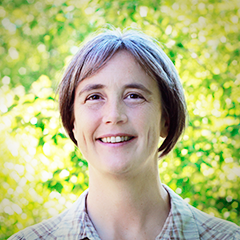 Julie Sykes earned her Ph.D. from the University of Minnesota. She is the Director of CASLS and an Associate Professor in the Department of Linguistics. Her research focuses on applied linguistics and second language acquisition with an emphasis on technological and pedagogical innovation for interlanguage pragmatic development and intercultural competence. She has taught courses on second language teaching and learning, methodology and research, language learning and technology, Hispanic linguistics, and interlanguage pragmatic development. 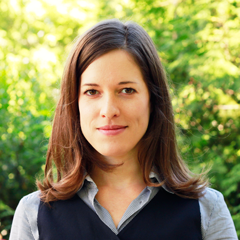 Julie’s experience includes the design, implementation, and evaluation of online immersive spaces and the creation of place-based, augmented-reality mobile games to engage language learners in a variety of non-institutional contexts. She has published various articles on computer-assisted language learning (CALL)-related topics, including synchronous computer-mediated communication and pragmatic development, gaming and CALL, and lexical acquisition in digitally mediated environments. 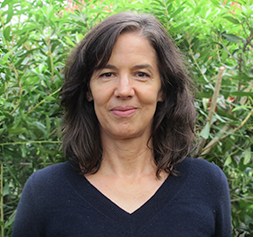 Julie is the recipient of the 2018 University of Oregon Research Award for Impact and Innovation. 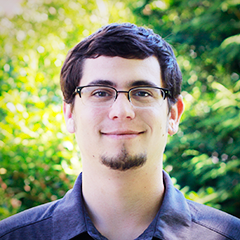 Carl Burnstein has been part of the CASLS team since 2010. He architects, programs, and maintains all of CASLS’ online tools and mobile applications in addition to providing user support. He brings extensive experience developing mobile apps for iOS along with full-stack experience in mobile and web technologies. Carl graduated from the University of Oregon with a B.S. in general social sciences with a concentration in applied economics, business, and society. He also holds a minor in computer information technologies and a minor in music. While not working at CASLS, Carl runs his own tech consulting business, CB-Tech Services. Carl has worked on projects ranging from mobile apps and websites such as a physical therapy patient database to vehicle-to-vehicle communication systems. Carl loves being able to apply his experience with web and mobile technologies to the amazing language tools that CASLS creates. 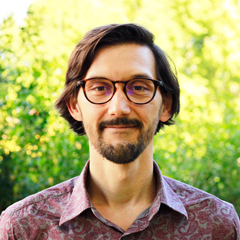 Christopher Daradics’ research interests focus on the ecological nature of language with a specific focus on the metacognitive affordances of second language learning. 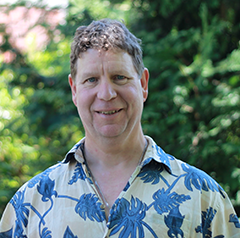 He earned a master’s degree in western classics from St. John’s College and a master’s in linguistics and language teaching from the University of Oregon. He has presented on metapragmatic development through explicit mindfulness training, using games for cross-curricular learning, and leveraging the study of language for professional development. Prior to his work at CASLS, Christopher worked with special needs middle school students, developed digital humanities projects, and taught humanities in high school and university contexts. At CASLS, he leads international teams in various capacities including curricular integration, design research, and project development. 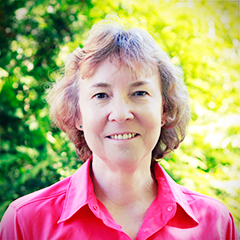 Linda Forrest earned her Ph.D. in linguistics from the University of Oregon. She has served as research director since 2005 and worked for the center as a data analyst for five years prior. She has also taught linguistics courses and developed the first online, Internet-based course at the University of Oregon on the structure of English words. Linda leads the center’s research on second language acquisition and assessment. Recent projects include a longitudinal study of university Romance language students’ proficiency levels in order to improve program articulation, an ethnographic study of a Mandarin dual language immersion program, and initial work to develop the first digital simulation instrument for assessing intercultural competence. Mandy Gettler manages the center’s business development, human resources, and strategic communications in addition to leading project teams. Mandy has managed federal, foundation, and private funding sources, including three four-year cycles of two prestigious grant awards: the Title VI National Foreign Language Resource Center (through the U.S. Department of Education) and the Oregon Chinese Flagship Program (through the National Security Education Program). As a result of Mandy’s innovative approach to communications, CASLS was the first National Foreign Language Resource Center to employ social media in its dissemination and outreach efforts. Mandy has presented on organization leadership, specifically in steering organizations during times of change. She received the 2014 Officer of Administration Employee of the Year Award in recognition for her leadership across campus. Mandy earned her B.A. in English with a specialization in folklore from the University of Oregon. 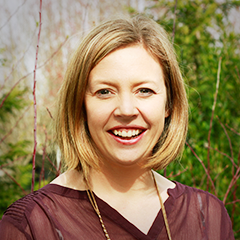 Mandy previously served as editor, and later publications director, for the Pacific Northwest Council for Languages from 2003-2013. She volunteered as an executive assistant for WellMama, a Eugene-based nonprofit that supports new parents’ mental health. In this capacity, she developed the content for and launched the organization’s online resource and wellness guide. 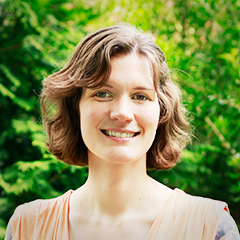 Several years of experience as a linguist, researcher, and teacher in the educational gaming space brought Kathrin to CASLS in summer 2016 as an instructional designer. She holds an M.A. in English and German philologies from the University of Heidelberg, Germany. Her main research interest is the intersection of cognitive linguistics and second language acquisition. 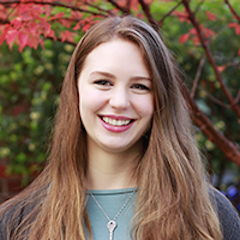 Currently she is working with CASLS on a courtesy appointment, exploring the potential of place- and experience-based language learning solutions to support native American language revitalization efforts. Stephanie Knight holds an M.A. in Latin American studies from the University of New Mexico. Stephanie is motivated by increasing educational access for under-represented populations of students in advanced secondary contexts and post-secondary contexts. She has presented nationally and internationally on best practices for planning, instruction, professional collaboration, and the intentional incorporation of digital tools in the world language classroom. One of her ultimate goals is the long-term retention of learners in language coursework. At CASLS, Stephanie explores her passion through the development of learner-centered curricula and pedagogical supports related to LinguaFolio Online, the incorporation of games into the language learning classroom, and virtual and augmented reality tools that can be used to promote increased pragmatic competence and social awareness among language learners. Before joining CASLS in 2015, Stephanie taught all levels of Spanish to students in grades 5-16 and served as International Baccalaureate Diploma Programme Coordinator at a high school in Nashville, Tennessee. Kim Larsen joined the CASLS team in January 2016. She provides executive assistance, edits grant proposals and CASLS communications, helps manage business and administrative functions, and supports all of the center’s initiatives. Prior to CASLS, Kim was the conference planner and communications editor for the non-profit Fanconi Anemia Research Fund. She earned B.A.s with honors in anthropology and geography and a certificate in European studies from the University of Oregon. Kim received the University of Oregon’s 2017 Outstanding Classified Employee Award in recognition of her integral contribution to CASLS’ work. 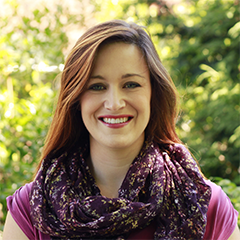 Lindsay Marean, who holds a master’s degree in linguistics from the University of Oregon, is the CASLS InterCom editor. She taught Spanish in grades 1-12 for five years, supervised pre-service second language teachers for five years, and worked as a teacher trainer and curriculum consultant with indigenous California communities for two years. Lindsay is active in documenting and revitalizing Potawatomi, her heritage language, and Pahka’anil, a California indigenous language. Scott Morison has a long and varied career in the development of computer software, with over twenty years’ programming experience specializing in web application, backend database design, and mobile app development. He leads the CASLS technology team in developing tools for language education. Scott holds a B.A. in computer science and biology from the University of Redlands. He holds certifications in Oracle database modeling and relational database design, Windows NT administration, and J2EE programming. He has seasoned expertise in Linux server stack installation and customization. Prior to working at CASLS, he served as the senior applications specialist for Symantec Corporation. 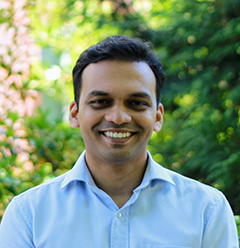 Fazil joined CASLS team in January 2017. He provides user support and works on the development of CASLS online tools. Fazil has over 10 years of experience in server & network administration, website development, and programming at various organizations. He has previously worked at Cisco Systems and also served as a product management intern at Cognitopia LLC, an educational app development company based Eugene, Oregon, that specializes in program development for cognitively disabled individuals. He is Co-Founder of an energy sector company, R2BMicrogrids. Isabelle Sackville-West is an undergraduate student at the University of Oregon pursuing a double major in linguistics and Mandarin. Her primary areas of interest include language pedagogy and second language acquisition. Isabelle spent two months in Beijing as a participant in the Princeton in Beijing 2016 summer program. 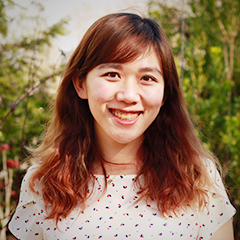 The experience led her to more deeply pursue Chinese linguistics, pragmatics, and interlanguage. After spending the 2017 summer term as a CASLS Fellow, Isabelle joined the team as a student employee. In addition to her work at CASLS, Isabelle is a member of the Chinese Flagship Program, a computer-based note taker for the UO’s Accessible Education Center, and a full-time student. Li-Hsien Yang earned a M.A. in language teaching specialization, a M.S. in educational technology and virtual schools, and a M.Ed. in K-12 licensure with endorsements in Mandarin Chinese, Japanese, and ESOL from the University of Oregon. She has been part of the CASLS team since 2010, when she worked as a graduate student for the Chinese Flagship Program. Li-Hsien now leads the Oregon International Internship Program and the Oregon Experience Program which provide learning experiences for students studying abroad in the U.S. from institutions in mainland China, Japan, and Taiwan. Li-Hsien is primarily interested in enhancing international students’ abroad experiences via internship opportunities and place-based learning approaches. Li-Hsien also works with local school districts to provide feedback on teacher instruction.